Poet. Creative Scribe. Crowdfunding Zen Manager. When I was a novice sapling of a writer back in the late eighties to mid-nineties, I drew a lot of inspiration from video games. Not from video games per se, as I would play my NES and Super NES consoles as a means of relaxing after a particularly rough day at the blackboard or connecting with my Dad over about 25 or 30 phases of The Original Mario Bros.. No, it was the instruction manuals. I would read these little booklets that came with the game paks cover to cover, marveling at the colorful imagery of The Legend of Zelda or Knights of the Round, a little-known side scrolling Arthurian adventure game for the Super NES from back in 1994. More than the imagery, I was taken by the background stories, character descriptions, and weaponry that was frequently featured in these little rectangular booklets, as it not only opened up the word of their respective games to my young mind, but also opened my mind itself to the possibility of telling stories like these one day. 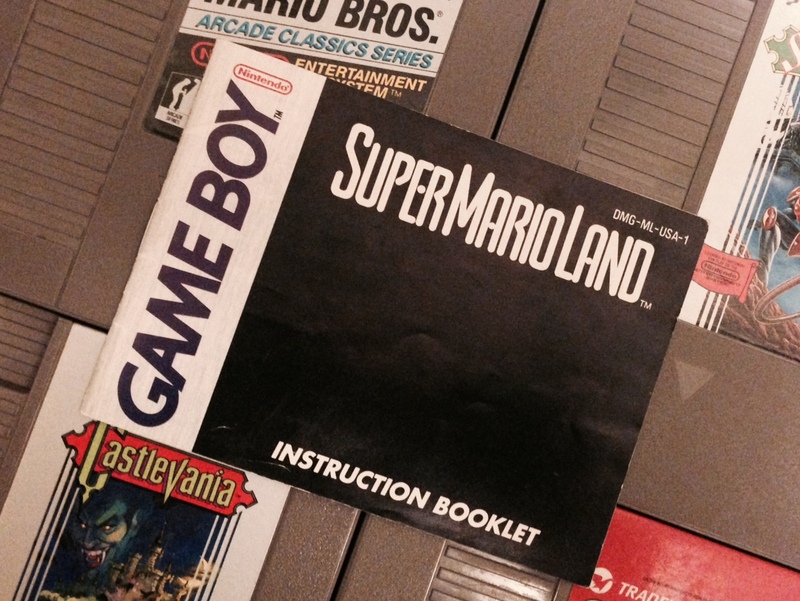 This is the only instruction manual I still own today. 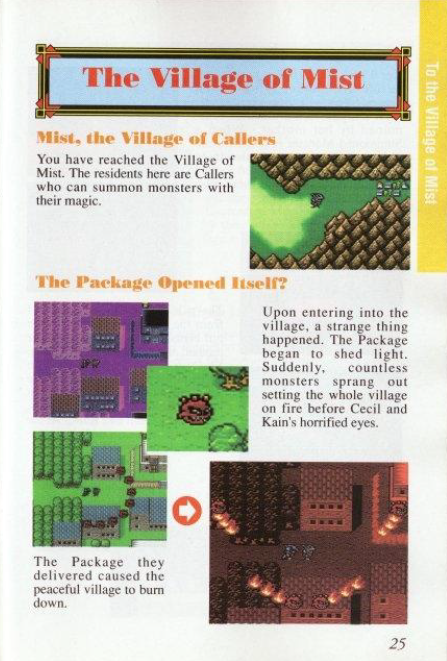 With that, and thanks to the awesome web resource gamesdatabase.org, here are the five most influential Nintendo instruction manuals that helped me develop as a writer. The first time I wrote about ActRaiser was as this post about how playing the game taught me about how to be humble and help others. 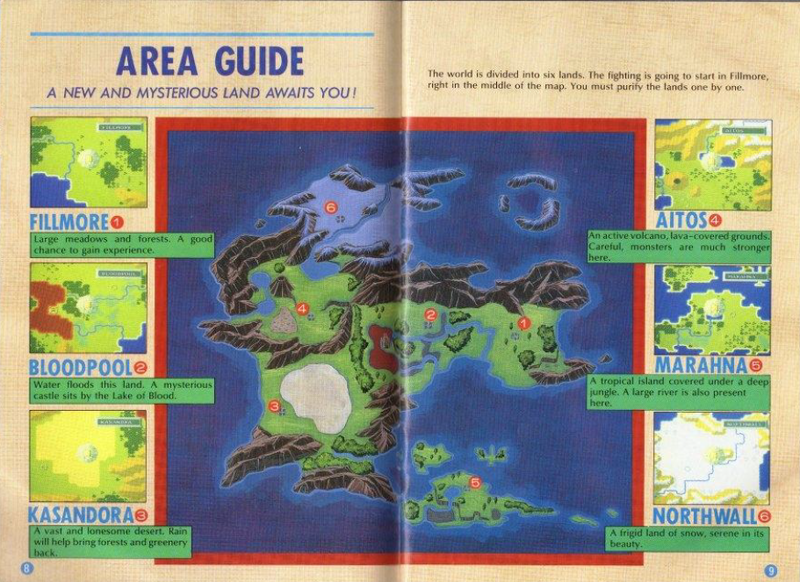 In terms of the actual manual, and aside from the many gorgeously painted illustrations revealing the backstory, the ActRaiser manual came complete with an area map, and to this day I love maps of mystical lands and worlds that don’t exist, but could exist. The ActRaiser instruction manual, along with a couple of the others listed below, was a major influence in my writing a five-act play when I was fifteen called Ordeal of Love, which was part one of a trilogy of plays under the auspices of the “Jonathan Gracco Saga,” which by today’s standards would be a G-rated version of Game of Thrones, which would basically just be Dragon’s Lair. Think Shakespeare’s Henry VI, parts I – III, but more enjoyable despite also being written in iambic pentameter –– yes, I had a lot of time on my hands back then! 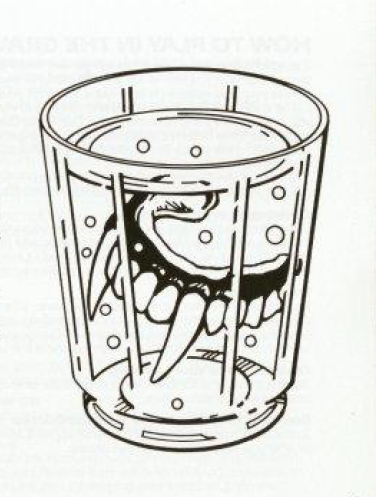 From the first moment I saw the image of Count Dracula’s fangs soaking in a glass of water like my Dad used to soak his false teeth in a glass of water he kept in the fridge (TMI? ), I was hooked! But this game fascinated me from the start because it was the first multi-player action/adventure side-scroller I’d every encountered, and I loved how the instruction manual dives briefly into each of their backstories. The most interesting one of them was that of Alucard, Dracula’s son, who would go on to become the main playable character in 1997’s Castlevania: Symphony of the Night. Trevor Belmont, Alucard, and the rest of the cast of characters in the third installment of Konami’s hit vampire hunting action/adventure game would inspire me to write a series of Castlevania fan fictions (I wrote about this once before, so you can read it here), which got me started as a writer. In a nutshell, what drew me to read this manual numerous times was the detail in the story, up until the characters blast off to the moon (whoops! spoiler alert!) I also enjoyed the fact that much of the “illustrations” were simply the 16-bit imagery from the SNES game itself. It was quite different from all of the other instruction manuals I had paged through at the time, except for the Super Star Wars trilogy, which also exclusively used 16-bit graphics as their main illustrations. For me, interesting characters make or break a story, more so than a convoluted or ingeniously contrived plot. And as I played Final Fantasy II and read over this manual, it was the characters and their backstories that made me want to play more. And which made me want to create characters like these, too, because what it made me realize, even at that young age, was that my characters were little more than two-dimensional caricatures controlled by a higher power –– this writer’s will and whims –– and not by their own choices and actions. 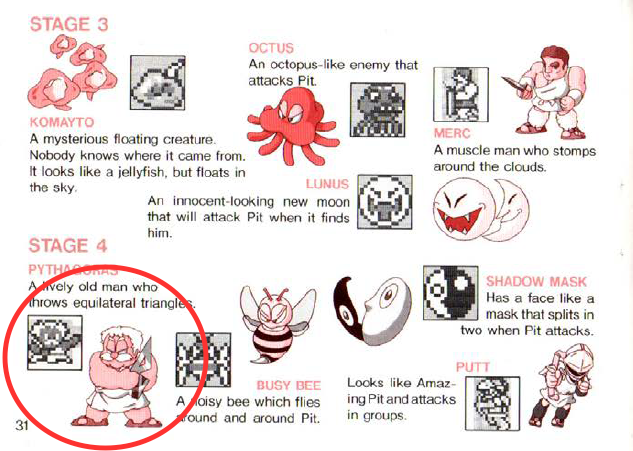 I’m Greek, so of course Kid Icarus was bound to make an appearance in some form or another. I never owned the original NES classic when I was a kid, but for some reason I did make my Dad buy me the Game Boy sequel Of Myths and Monsters. The instruction booklet featured anime-esque illustrations throughout the instruction booklet, some a bit less detailed than others, but what I was more interested in at the time was that people like Pythagoras, described as “…a lively old man who throws equilateral triangles,” were making some appearances. Uh, sold! Whether non-fictional like the man who discovered the Pythagorean theorem, or fictional (what is an Eggplant Wizard, anyway? ), it was these peculiar characters that would work their way through the gears of my mind, and the fact that many of them were based on Greek mythology, that got me working on poetry about mythology. 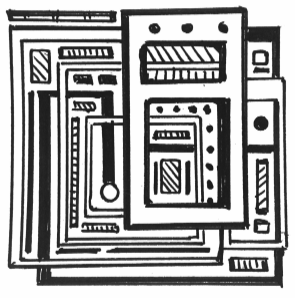 If there was one booklet that lives in my Mother Brain in vidid detail, it would be the instruction manual for Metroid. (And the one for Game Boy’s Metroid II: The Return of Samus, too.) Although I must say I do have a pet peeve here; this is one booklet that is probably the most inconsistent of all the manuals I’ve ever read through, art-wise. There can be a very cartoony rendition of our main character on one page, and then, right on the next page, one of the most awesome and iconic depictions of her. But by the time we get to the descriptions and depictions of the enemies of Planet SR388, all is forgiven, for these are some of the greatest illustrations of any Nintendo manual around, not to mention some of the most creative, creepy, and downright disturbing baddies I’ve ever seen. The characters of Metroid have definitely inspired a few of my own sci-fi stories and characters that I haven’t quite gotten around to putting down into any medium just yet, though I have worked something of it into my comic Siren’s Calling. This is not directly based on Metroid or even science fiction –– as a matter of fact, it’s more connected to Kid Icarus: Of Myths and Monsters with its Classical mythology angle –– but the concept of a strong female protagonist, which is what Samus Aran is in Metroid, and exactly what Lorie Lye is in my graphic novel. More so, I’ve got at least two other stories with strong women leading the charge, which I can’t wait to put my prowess to and write up. There are many more Nintendo manuals I could site, from Top Secret Episode: Golgo 13 (NES), Castlevania II: Belmont’s Revenge and Double Dragon (Game Boy) to Super Mario World (SNES) which all aided in sparking ideas about characters, plots, and overall premises of the stories I would ultimately be telling or will tell in the near future. But it was these that really piqued my interest in telling stories. Why I never thought to become a writer for video games, one may never know. 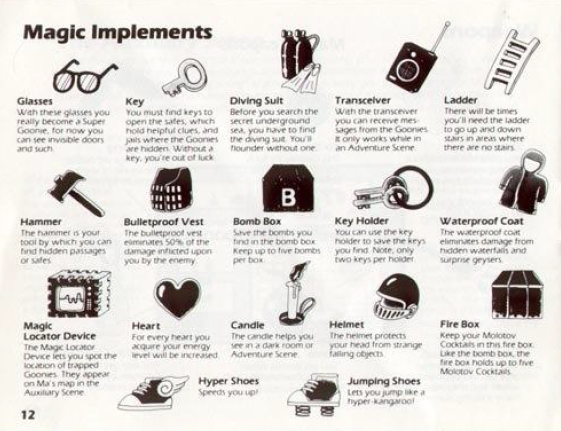 What video game manuals do you remember paging through numerous times, whether marveling at the illustrations and stories or simply learning the gameplay? List them in the comments!